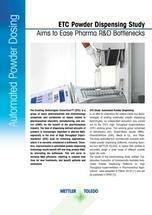 Automated Powder dispensing for pharma and biotech R&D can increase efficiency in high-throughput applications, such as screening and formulation. 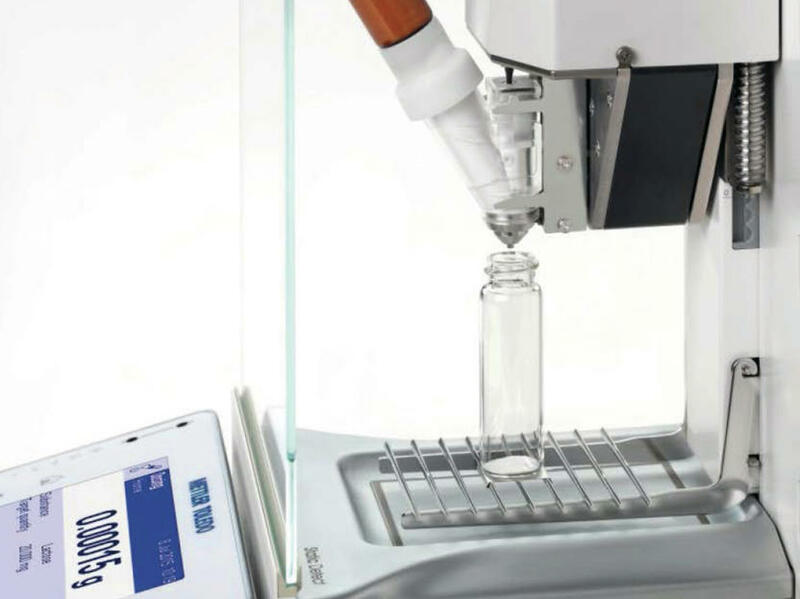 Dispensing small defined amounts of powder is an important step in most pharma R&D workflows, and is currently considered a bottleneck when carried out manually. To investigate this problem, the Enabling Technologies Consortium (ETC) conducted a benchmarking study in order to evaluate the capability of existing powder dispensing systems. Accurate dispensing of the seven reference powders selected, in all locations tested, in spite of the challenging range of physical and flow characteristics. Especially impressive at 2 mg, the lowest target dispense weight tested, compared to other systems. Successful powder dispensing was achieved using the standard dosing head and standard parameters. No set-up time or optimization of dosing parameters for different powders was necessary and no expert user is required. Quantos is so easy to use that it can be employed for a range of workflows by everyone in the lab, and not just used as a specialist system. Consistently accurate and reliable results across all laboratory locations tested – glove box, fume cupboard, purge box and LEV – proving that Quantos can operate safely within any suitable containment system to minimize user exposure to the powders that need to be dispensed.